The futility of man's technology against the inevitable vengeance of nature. 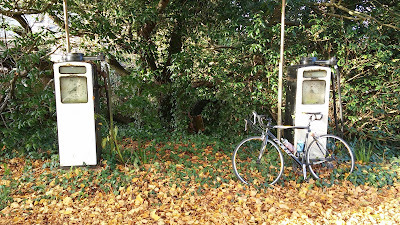 Two rusty old pumps and a bicycle"
Both are great titles, Trevor. I am happy to admit that I have seen one of these beauties in person in this life. PS. Sorry I have not been frequenting your blog due to a whole lot to take care of...Take care. This Blog has gone quiet...you OK Trevor? Thanks for the comments Guys... Yes Peter all is well- just a case of time away from the blog- I will post soon but thanks for the concern.